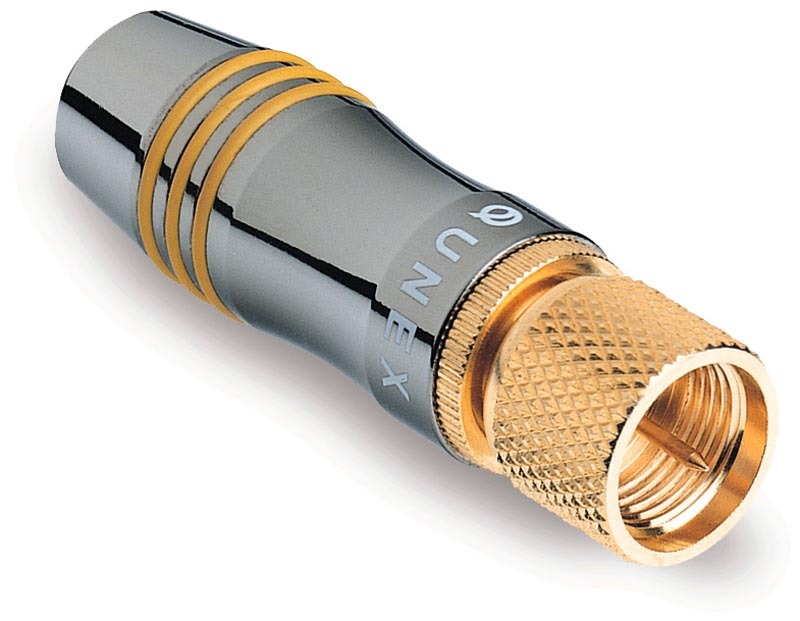 True 75-ohm design utilising Silver Plated Oxygen Free Copper conductors and QUNEX Gold-plated 75-ohm connectors for suberb signal transfer, this high quality interconnect is designed for use with high quality satellite receivers. IS THERE A WEAK LINK IN MY ARIEAL SYSTEM? Signals received by a Satellite dish or other aerial system are extremely small and very susceptible to interference and corruption through the use of inferior cables. 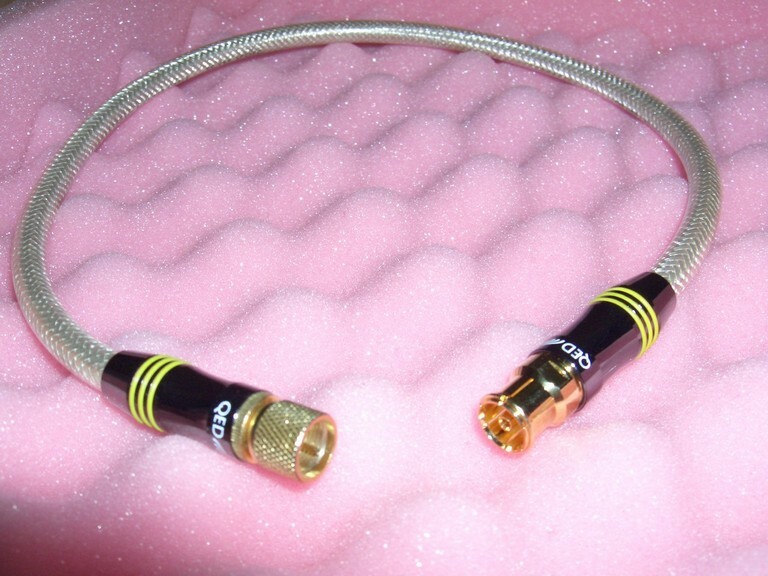 Unfortunately, the typical “free-out-of-the-box” aerial lead has two major problems, poor impedance accuracy and lack of shielding. Poor impedance accuracy results in degradation of a perfectly good aerial system, as signal energy is reflected back to the aerial rather than reaching your TV. Minimal shielding from external interference causes a further loss of picture clarity. WHAT ABOUT THE CABLE FROM MY AERIAL TO THE SOCKET? 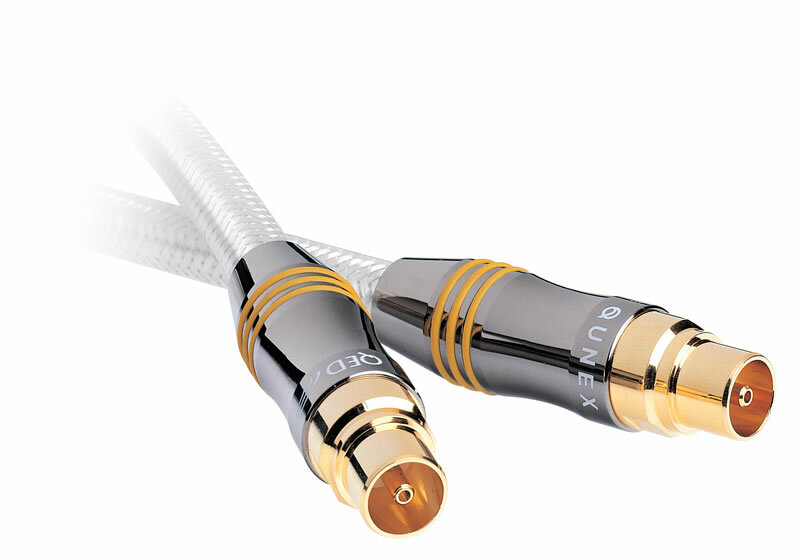 Qunex Broadcast Receiver Cables replace standard “free-out-of-the-box” aerial cables which commonly connect AV equipment to the wall socket. The feeder cable in the wall is usually of a reasonable standard, but it is not flexible and rejects only minimal background interference, since the normal external environment is much less hostile than that behind the receiver equipment stack. However, the entire aerial cabling system is seriously compromised when anything other than an accurate 75 Ohm fly lead attaches the receiver to the wall socket. 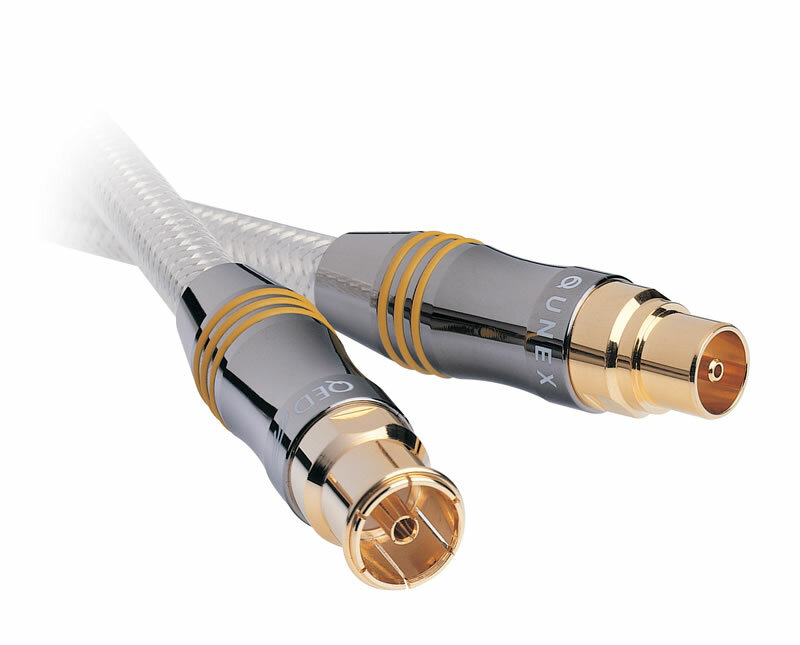 By using high purity Silver Plated Oxygen Free Copper conductors and precise dielectric geometry Qunex Broadcast Receiver Cables conform within a 0.04% tolerance to the optimum 75 Ohm specification. 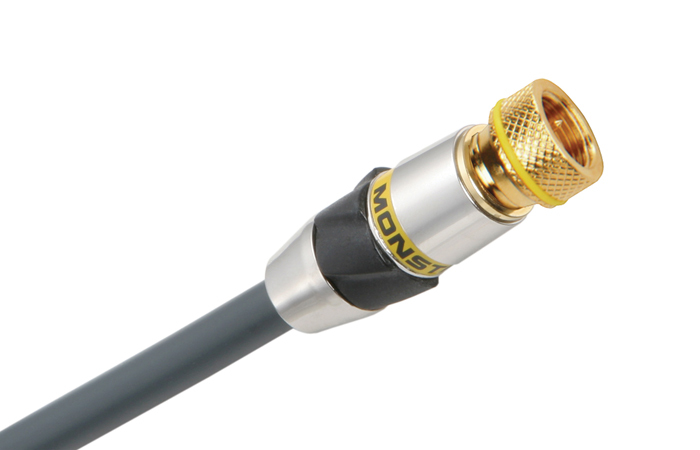 Such accuracy ensures full signal transfer by eliminating unwanted reflections at the critical impedance change, when connecting between the aerial system and the AV equipment. Impedance mis-matches "reflect" energy back to the aerial, causing noisy reception or snowy pictures and multiple vertical edges. 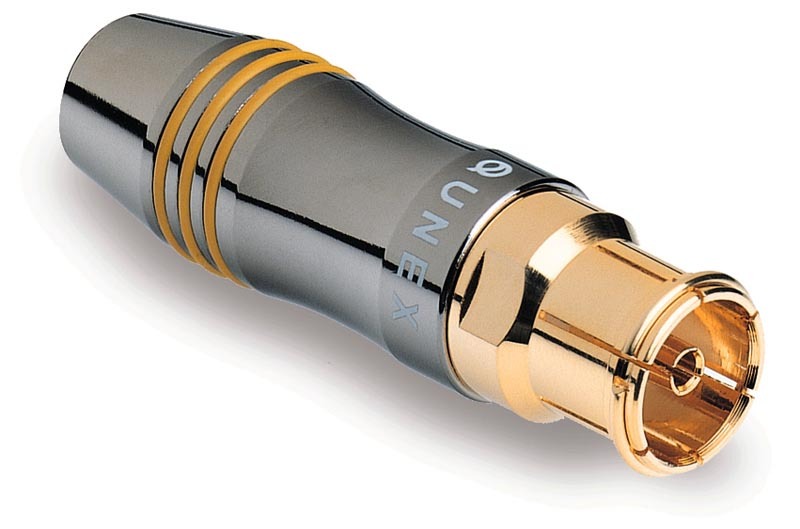 100% SHIELDING The most interference-prone area is behind the AV / Hi-Fi equipment. 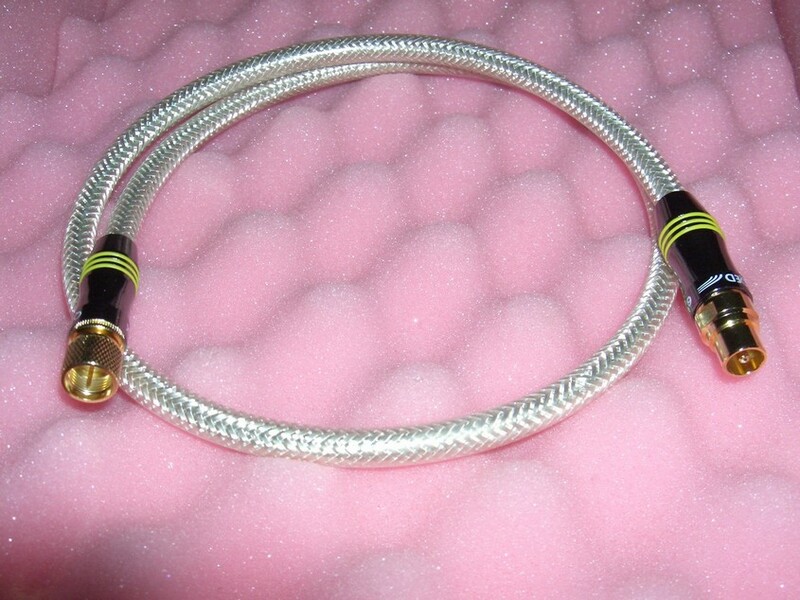 A high quality Aluminium Mylar Foil wrap encircles the centre conductor before dual Silver Plated Copper braids are added to ensure that Qunex Broadcast Receiver Cables achieve the highest possible levels of immunity from electromagnetic interference. This means the tiny transmission signal remains undisturbed by mains spikes, switch mode power supplies and circuit breakers. 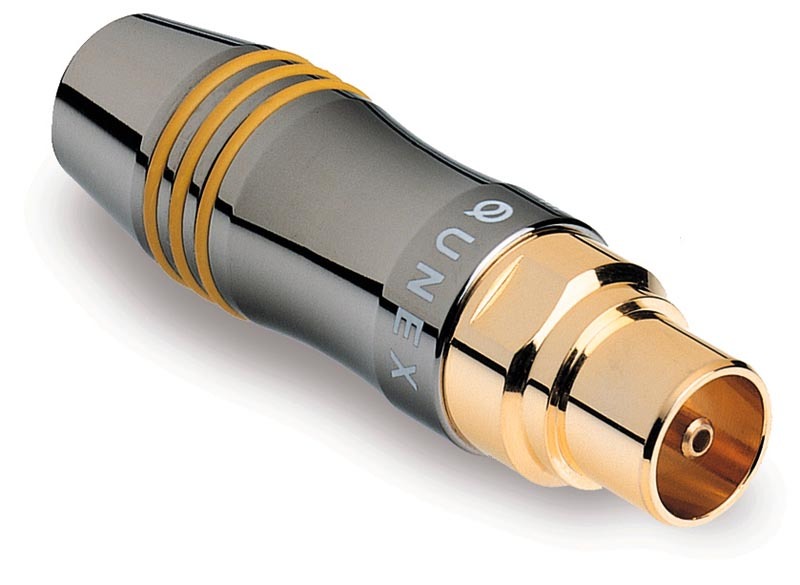 This is essential for aerial applications, as the signal can be a million times smaller than loudspeaker level. 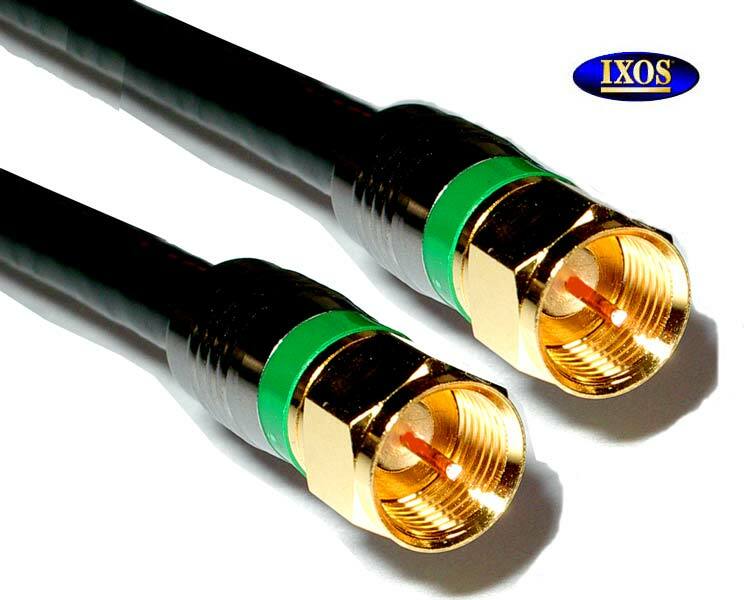 Broadcast Receiver Cable signal rejection is more than 32dB better than a typical coaxial aerial cable - 40 times better, in fact! This magnitude of noise immunity renders a more stable image, with less patterning or shimmering, and excellent clarity and edge definition.